Successful recruiting? We know how it’s done! Above all, we have to focus on actively approaching potential employees. This task is handled by our specialized sourcing team. Putting together a team like this is a challenging, yet rewarding, investment. In addition to establishing direct contact – whether through traditional channels like phone and email or through career networks like LinkedIn, Xing, or specialist job portals – the systematic identification of talented professionals plays a central role here. Our relevant research tells us exactly where to find which technical specifications, such as experts in a certain programming language. The team works methodically, continent by continent and country by country. This method also allows us to quickly meet any spontaneous demand for staff. Moreover, it’s essential that every single employee becomes a recruiter for the company. Our internal referral program is especially promising since many of our employees know other specialists in their field. If a recommendation from a colleague results in the hiring of a new employee, the colleague in question receives a fun referal bonus, such as a helicopter tour. We have expanded our geographical horizons and started crossing borders in our search for specialists. The application process is an especially important aspect in this regard. We design this process to be as flexible as possible for the applicant and adapt it to suit their schedule and location. 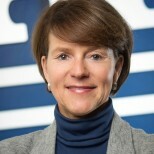 Initial interviews are held via Skype or staggered video interviews for candidates who can’t come to Hamburg. These options are perfect alternatives to a face-to-face interview at our offices. Another key argument in winning over potential candidates is our onboarding department. This team is specialized in integrating our international employees and helping them to settle into the company and life in Germany. Whether dealing with the public authorities or searching for an apartment or a spot in a daycare, the team clears away plenty of hurdles for the employee before they even start work. A variety of events also offer the newbies a chance to get to know each other and make contacts. For many, this service is what removes that final doubt as to whether or not to come to Germany. In many instances, the candidate isn’t an instant fit for the job profile described. 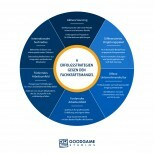 For this reason, we assess whether it is worthwhile investing in the candidate by training them for this position or even another one in the company, thus optimizing their current talents and skills for Goodgame Studios. For example, a developer with a very good profile and knowledge of a certain programming language can learn a new one that is desperately needed at this time or will be essential in the near future. Along with specially trained experts, we also take into consideration candidates from other industries or professions who can bring fresh ideas into our company thanks to their different perspectives. We take chances and create positions tailored to personalities with extraordinary talents. 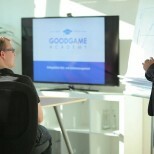 Our success strategy wouldn’t be complete without internal training sessions for employees in our Goodgame Academy. Advancing and expanding the knowledge and skills of our experts is more important now than ever before. Fully utilizing and furthering the potential of our staff is not only effective, it’s also cheaper. A competitive benefits and salary package is an absolute must in a cutthroat market like this and is viewed as an essential need. More importantly, however, we must also earn the candidates’ trust that a job here offers good career prospects and opportunities to develop. A professional environment which provides potential for growth and room for creativity will win over many specialists. A variety of additional offers, such as health and prevention programs, sports classes and clubs, regular team events and company parties, or even the in-depth care offered by our feelgood team for all professional and private issues are equally popular and can tip the balance in our favor. We should not underestimate another important aspect of winning over experts in their field: an open and positive company culture, which is something we actively live out and communicate here at Goodgame Studios. This means that we approach potential applicants in advance in order to pique their interest, and thus pave the way for successful recruiting.